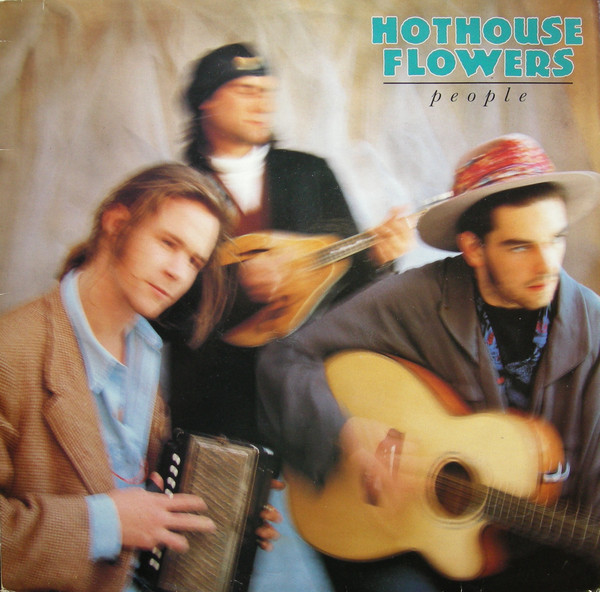 The Hothouse Flowers were a hard to categorise group. They came out of Ireland in the late eighties, and were a five-piece mix of bluesy rock, Irish show band rock 'n' roll, soulful vocals, Van Morrison-esque mystical airs and atmosphere. Led by pianist and vocalist Liam O'Maonlai who had a bucketload of charisma and stage presence, they were an excellent live band. I saw them in 1990 at the Digbeth Irish Centre in Birmingham and they were excellent. They really had something. It was a shame that after this highly impressive debut album they rolled slowly downhill. After several hiatuses (or should that be hiati?) they are still putting out the occasional album, but nothing has come close to matching this one. It kicks off with the "live" sounding "I'm Sorry", full of improvised vocals and dominating backing voices too. It has a real bluesy, upbeat feel to it. Next up is the superb single, the Van Morrison-influenced "Don't Go". This one is brim full of Irish verve, vitality and vigour, with a load of poetic lyricism in there too. Simply a great track. "Forgiven" is a slow-paced, very bluesy and atmospheric number, while "It'll Be Easier In The Morning" is a muscular soul number, with great punch and backing vocal "oomph". My favourite on the album is the lively, extremely catchy and copper-bottomed soul of "Hallelujah Jordan". It builds up to a real crescendo at the end, with O'Maonlai on superb vocal form. Great stuff so far. 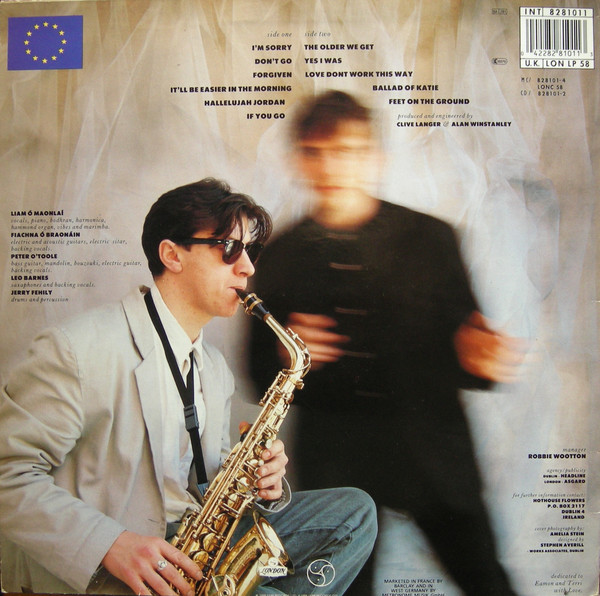 "If You Go" is a saxophone driven, mournful slow burner of a song. Again, it is full of soul, but it does drag a bit, as do some of the longer numbers in the final two thirds of the album. Other examples of this is the Western-influenced, beguiling and mysterious "Ballad Of Katie" and the brooding, melancholy of "The Older We Get". O'Maonlai does tend to over-egg the vocals a bit to the end of these lengthy workouts, however. He still had a great voice though. At thirteen tracks, the album suffers from being a bit sprawling, to be honest. It could have done with being cut down to ten songs to have a better effect. "Yes I Was" is a more lively number, with vague echoes of U2 and Bruce Springsteen in tiny places and even Jim Morrison of the Doors too. "Love Don't Work This Way" is a funky, horn-backed shuffler with some Elvis-like vocals. Veteran soul vocalist Jimmy Helms appears on backing vocals. "Feet On The Ground" is another song with a "live" feel to its improvised vocals. It also has some big chunky riffs and solid backing vocals again featuring Jimmy Helms. Great wailing saxophone too. "Lonely Lane" is a marvellous piece of chunky soul rock, there really has been some solid material on this album, and this is reiterated by the entrancing, smoky-sounding ballad "Saved". Overall, one pretty fine debut album. Quite musically credible too, considering it dates from that dreadful time for music, the late eighties.